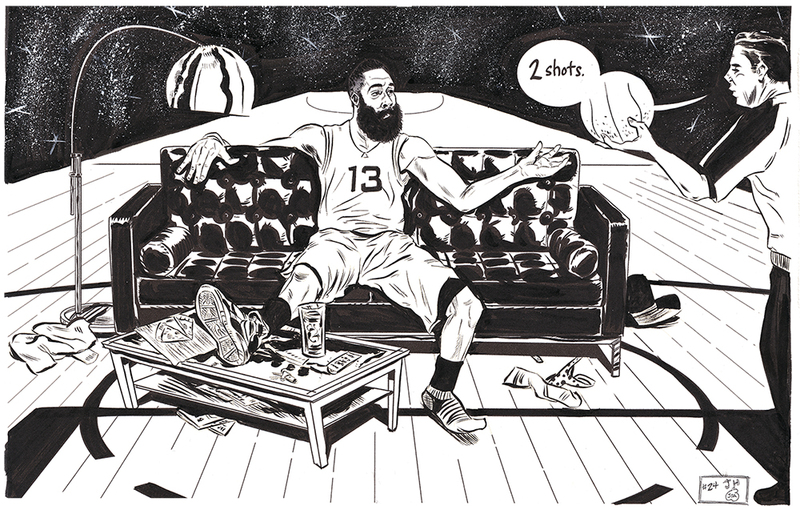 You too can celebrate James Harden’s ongoing residency at the free throw line by purchasing this magnificent print at Bouncex3. Other notable masterpieces are the Monta Elly “Have It All” and the Pero Antic. Most prints are sold out at this site, but more designs are available via society6.com here. All prints created by J.O. Applegate.